In eras past those who reigned and conquered were those who wielded the military might. Then there was a time when the seats of power rested with those controlling the organizational religious establishments. Most recent centuries have seen rule and authority controlled by national governments defined by geographic boundaries. But during the last decade or so, global rule and power is tilting toward those with economic power. The realities awakened from 9/11, along with the shift in global seats of power are a part of the reemergence of the clash of all ages, which has frightening parallels to the Nazi rise to power in the late thirties. Despite this radical change in the course of world events, there is a subtle realignment of God’s Kingdom rule: with God’s economy, Israel and a new breed of Kingdom leaders at the forefront. Kingdom leaders who will build communities and impact nations. This realignment will release the greatest move of redemption and restoration the world has ever seen. It will usher in the power shift of all ages. God’s sovereignty over His creation is being restored, His covenant confirmed and His covenant people becoming the head and not the tail. The parachurch model that arose in the sixties is giving way to models more suited to the strategic, critical and practical needs of this era: models incorporating not only the spiritual, but the community and economic dimensions of God’s riches. They will birth a mix of both micro and macro-level entrepreneurial initiatives designed to build God’s Kingdom. In addition to sharing an array of personal experiences as I sought to understand and embrace a non-traditional call of God to interlink business and ministry, this effort outlines the significance and timeliness of what has become a significant move of God. Ancient biblical foundations for this calling, along with biblical principles of entrepreneurship, business and Kingdom wealth are among the topics addressed. Models of Kingdom ventures bypassing regional economic downturns and fulfilling God’s purposes in the face of reversals, persecution, disasters and political strife illustrate how God’s economy defies the odds. Insights into the times and seasons explain the significance and purpose for this strategic call of God. God’s call on my life, shaped by a Word the Lord spoke to me in the mid-seventies, took me into uncharted waters. Having left a military career in mid-stream to prepare myself in biblical studies for service for the Lord, I was puzzled as the Lord clearly led me into the business world. Then almost a decade after entering the business world, I took a couple of weeks to get alone with the Lord to fast and pray. Spiritually-speaking, I was a bit battered and confused. First, I had experienced the folding of a once very successful business I knew the Lord had led me to start. Then, despite all my efforts to seek first His Kingdom and His righteousness – the position in the corporate world that had opened after shutting down my business had also seemingly cratered. Then more than another decade later, I had occasion to speak at the big mission conference held every three years known as the GCOWE conference. The Global Conference on World Evangelization attracts between 5,000 to 6,000 mission strategists and practitioners from over 150 nations around the globe. It was a message that had been burning in my heart since the Lord spoke to me in the mid-seventies about my role in making an impact on kings, rulers and leaders. It was a talk based on the prototype I had been gleaning from the life of Joseph over the years. I simply called it “The Joseph Calling.” The unusual life of this patriarch seemed to provide clues to the unorthodox steps I was being so strongly drawn to take as I sought God’s higher plan for my own life. The presence of the Lord I sensed as I presented this talk at the Business Executives venue at GCOWE was very strong. But I never expected the type of reception I received after the talk. A number shared that I had defined how God had been leading them for the last ten to twenty years. One man said he thought he had been all alone in being called in this way. Another just grabbed me and hugged me as he repeated the words thank you over and over. For each who came up after my talk, it appeared the message was a release for them. My own calling as a Joseph and a Daniel for this day was one shared by a number of other marketplace believers from around the world. These are ones who had been led and prepared in some very similar ways. It was a calling that would serve a number of strategic community and nation-building functions. It was a defining moment for me as I realized my call into uncharted waters was a part of a move of God, designed to counteract the turbulence of the times we have entered. Alongside my calling into the business arena, the Lord has molded me as an intercessor. In the mid-nineties, I helped to launch and became the director of an email-based intercession ministry known as the Strategic Intercession Global Network (SIGN). The ministry of SIGN has as its charge “addressing strategic-level issues impacting the Body globally. As I would ask the Lord for wisdom and revelation into these issues there came a clear focus on issues such as Israel, Jewish revival, the persecuted church, Kingdom initiatives to reach the nations and God’s economy. As such this book combines insights I’ve drawn from my time in God’s presence with experiences I’ve had in implementing these Kingdom initiatives. It includes practical biblical insights into the dynamics comprising this reemergence of His ancient principles of business and wealth. Strategically, this move of God which is penetrating seats of power in business and government is one I believe will parallel and exceed in impact the rise of the parachurch ministry movement of the early fifties. It is a move of God designed to build communities and impact nations. It is for these men and women of God – called as God’s ambassadors into the spheres of business and government, that this book has been primarily prepared. And to each one, I salute you in the Name of the Lord. May the words of this book provide the release you need to fulfill what the Lord has called you to for this hour. This story was not planned. It has simply unfolded. Its foundations really began when I told the Lord that whatever He wanted me to do, wherever He wanted me to go — I was available. What followed has become the journey of one who simply sought to follow and please the Lord. Just as in the days of Joseph and Daniel, God will bring out mighty works at your hand. As you are led into the midst of the world, kings, leaders and rulers will be converted and humbled. You will work beside them and be given authority; and your counsel will be heeded for their good. 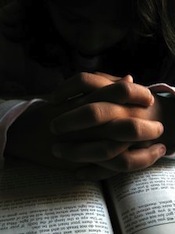 My hunger to know Him resulted in an insatiable desire to spend time praying and reading the Word of God. As I did, I found myself drawn to reading and re-reading the biblical accounts of Joseph and Daniel. I had cut short a career in the US Marine Corps to pursue biblical studies at a Christian university and seek what I sensed was God’s plan for my life — although at that point it was largely undefined, and something akin to the obedience and pilgrimage reflected by Abraham’s life. God’s unfolding plan for my life became the outgrowth of a mix in commitment, obedience and the time I spent with Him. It was during this initial time in the re-tooling of this professional combat veteran that the Lord began speaking to me about business. But, business was NOT my background, specialty — or even my desire. So, as one who left a military career with the expectation of joining the pioneering efforts of a para-church operation, I was somewhat taken aback at God’s leading and guidance to enter the secular business world as a consultant. It was also becoming apparent that my journey with the Lord was not going to be a traditional one. The doors opened for a position in a consulting operation with clientele from around the world. This position became the training ground where the Lord honed my expertise and abilities associated with identifying central issues, conducting research into markets and economies, and developing plans and strategies for senior levels of management within Fortune 500 and multi-national corporations. Yet, despite being convinced of God’s “leading” at the point of decisions, I struggled and questioned whether this was really His plan. Hadn’t I placed a sterling military career on the altar to make myself available for His purposes for my life? I simply didn’t really grasp it, because the traditional mind-set was that if you were REALLY committed, you would be either in the pulpit, a missionary, or working for a para-church ministry. Then the Lord spoke a very clear Word to me: that I was to start my own consulting business. Now that rattled me. While I had become a pretty good consultant, starting and operating an independent business was outside my comfort zone. However, I received strong words of confirmation and encouragement. So, I took the step. That first year in business was terrible. I mortgaged my home for operating capital. I spent a lot of early morning hours in prayer. I was able to sell one project during that whole first year. I remember my banker admonishing me because he felt my pricing on that project should have been four times what I had charged. At the end of that first year in business; very humbled, out of money, with no projects on the horizon, the Lord showed Himself faithful and strong. In one week, I got requests for six assignments. Half of them started right away. And little by little, things began coming together. Even at that point, while I knew I was following His leading into the business world, I still really didn’t understand. While my primary clientele consisted of Fortune 500 firms, I worked hard at selling my work to ministry organizations. I knew I could help and did. But frankly, despite the strong guidance I had consistently been getting from my time with the Lord, I still didn’t completely understand the role of someone completely sold-out to Him — in the world of business. My consulting firm grew and grew. I took on partners. We had offices in Tulsa, Houston, Chicago and New York. But as we got bigger, instead of simply following His plan, I began looking to use what was developing as a means to please Him. This is not an unusual response from a truly committed believer in business. But in that subtle process of paving new ground, what began as His plan, became my own plan. It was a good plan, but the paradigm had shifted from where this journey had started. And rough waters came. The major markets in which we specialized began drying up. We entered a period of having to shut down offices and let people go. Finally, out of desperation and the need to support my family, we shut this wonderful God-initiated venture down. We shut it down honorably and I moved into the only door that opened — one that opened wide into a position as senior vice president of a $1.4 billion corporation. That response again challenged my “mind-set” of what serving Him with a “full commitment” was all about. Then it was during that time in the corporate world that I began getting simple impressions during my prayer-times concerning “re-possessing the land.” I began to consider that $1.4 billion organization, along with its staff and its resources, as belonging to the Lord. That thought and approach — which became reflected in the marketing and planning strategies I had charge over — did not go unchallenged. I found myself faced with key people hidden in the infrastructure of that organization who belonged to a coven of witches and warlocks. And they considered that organization as “a seat of their power.” At that juncture in my walk with the Lord, I considered myself as having a fairly robust anointing as a prayer warrior — but the spiritual backlash I began encountering definitely challenged and humbled me. Yet, I continued to follow God’s leading to use my position to begin mobilizing the believers in the organization. I founded and led a Bible study that gained much attention because I had acquired permission to hold it in a seldom-used extra office belonging to the Chairman of the Board. Then, because of a mix between my senior position and my boldness, other Bible studies and prayer groups began springing up, as other believers in turn became bolder and started exercising their God-given authority. At a point when it appeared everything was about to move into high gear, my time at this organization abruptly came to an end. The man who hired me (the president) held a position sought by others at my peer level — and through craft and deceit, he was terminated. Since I was one of the king’s men, my exit followed soon thereafter. As I went through a painfully slow time of getting resituated, I took a couple of weeks to be alone with the Lord to fast and pray. Spiritually speaking, I was a bit battered and confused. First, my own business folds. Then, all my efforts to seek first His Kingdom and His righteousness in the corporate world also seemingly cratered. In a way that only a Word from God can do, this Word brought peace to my heart. But initially, I frankly didn’t know what to do with it. Since that time, my consulting practice was reestablished, albeit on a much smaller and more flexible basis. Simultaneously, the Lord began giving me more understanding as He progressively refined and defined my function as an intercessor. Then, during the mid-nineties, the Lord began imparting greater insights into that original Word He spoke to me of “Just as in the days of Joseph and Daniel, God will bring out mighty works at your hand – as you are led into the midst of the world.” And with the understanding have come opportunities. So, what has evolved has been forged and tempered as, over the years, I have sought to follow His call into the world of business and enterprise as a Joseph-Daniel: as a businessman called as an instrument of God’s purpose. But on another dimension, this calling is the result of a progression of steps of obedience, drawn from the guidance received during my time with Him. Again, it was during the mid-nineties, when after years of ups and downs and waiting for what I had long been sensing the Lord telling me about my calling, things began to click. It was a time I have to admit when I was very weary in waiting on what I was hearing the Lord tell me. And at times, questioning whether I was really hearing from Him — in the pivotal, life-impacting decisions and steps I had been making, in my pursuit of this plan and purpose which I sensed He was calling me to. But while there was a weariness in waiting for the manifestation of His promises, there were hours upon hours being spent with Him. Pressing in. Times with Him. Times very precious to me. They were not only precious times, they were awesome. Times spent just worshiping. Times hashing through things. Times pondering issues. Times just listening. Time just being with Him. There is nothing this world has to offer that can even begin to compare with His presence. With time spent with Him. Then very early one morning, as I found myself sitting in His presence, I realized something very significant. As I did, I told the Lord, that if He NEVER had anything further for me than what He had blessed me with during these times with Him — I wanted Him to know that I would consider it more than enough. And it seems from that point, things began accelerating and dovetailing together. From that point, the Lord began showing me agendas to target in intercession. He began giving me perspectives and insights into His purposes for penetrating the marketplace with emissaries and ambassadors who would serve on a number of levels — like the Biblical Joseph and Daniel. I began realizing that this unique calling of mine into the marketplace was also the calling of many other committed men and women of God. It was soon thereafter, through a series of unusual events, that I found myself a part of birthing a very simple Internet ministry designed to address strategic-level issues impacting the Body on a global basis. This humble ministry grew. Primarily by word of mouth, it grew to include intercessors, pastors and heads of prayer ministries from around the world. It grew to have a focus of targeting the revelations I was bringing out of my time with Him. It was also around this time that opportunities to get involved with what I called Joseph-type projects starting emerging. Projects that combined aspects from both business and ministry. As the intercession ministry and Joseph projects crystallized, it became increasingly clearer not only for what the Lord had been preparing me, but the context of what He was doing within the marketplace. It was at that juncture that the doors began opening to speak about this “interlinking of business and ministry” calling which I had been bantering about for so many years. This began in Pretoria, South Africa, as I addressed a group of missions-minded business executives at the largest gathering of mission strategists and practitioners in the world. Other speaking opportunities followed — each of which has thrust me further into this arena encompassed by this move of God into the marketplace. Connect to Amazon.com to purchase e-version or book version of God’s Economy Israel and the Nations.